Temples of The Church of Jesus Christ of Latter-day Saints serve as important symbols for the worldwide Church. Many temples sit on hilltops and mountains, overlooking the valleys they serve and providing beacons of light and faith to millions of Latter-day Saints. 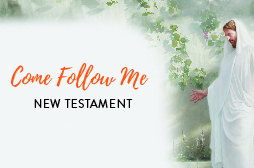 Every day, Latter-day Saints gather in to worship Christ and serve both the living and the dead. 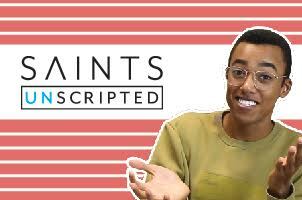 Latter-day Saints treat the ordinances performed inside the temple as sacred rather than secret, as these ordinances are among the highest and most important performed within the Church. 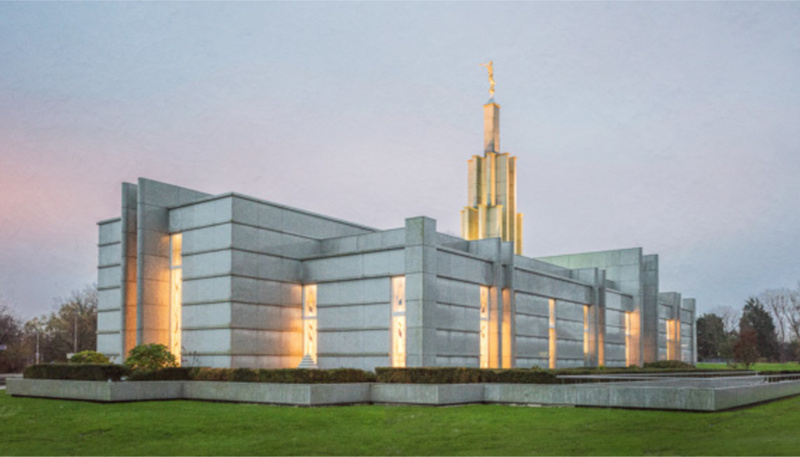 That said, there are many things about LDS temples that you might not have known. 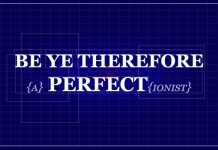 Here is my completely subjective list of the 11 most interesting things about LDS temples. That’s right, I said it. A temple recommend is not required to go inside—that is, up to a certain point. You do need a temple recommend to get past the front desk and enjoy all the blessings of the temple, but every temple has a lobby wherein anyone can enter to sit, relax, pray, and enjoy the sacredness of the house of the Lord. Several years ago, one of my best friends was sealed to his wife in the San Diego Temple. I had another friend who was there to celebrate who was not a member of the Church and, therefore, did not have a temple recommend. 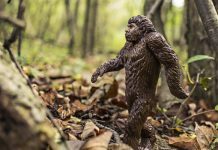 He needed to go to the bathroom, and there were no open bathrooms in sight. So, he went inside the temple and asked to use the bathroom. The temple workers kindly obliged. 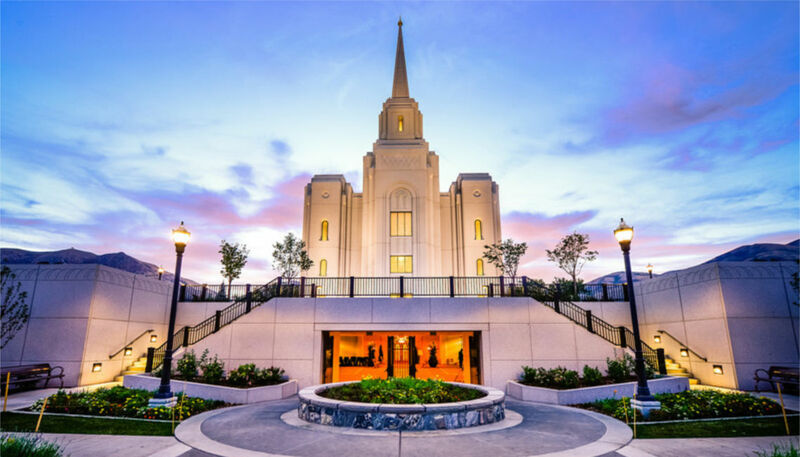 In the 2017 Statistical Report for the 2018 April General Conference, The Church of Jesus Christ of Latter-day Saints reported that there were 159 temples in operation at the end of 2017. 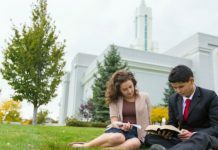 With temples seemingly announced at every General Conference (we’ll see if any more are announced during this conference), the numbers of temples that dot the earth will continue to grow. Indeed, there is beauty everywhere. There is one city, however, that enjoys two dedicated temples (Provo, Utah) and one city that will soon enjoy two temples (Lima, Peru). In 1972 the Provo Utah Temple was dedicated. Just over forty-four years later, the Provo City Center Temple was dedicated. 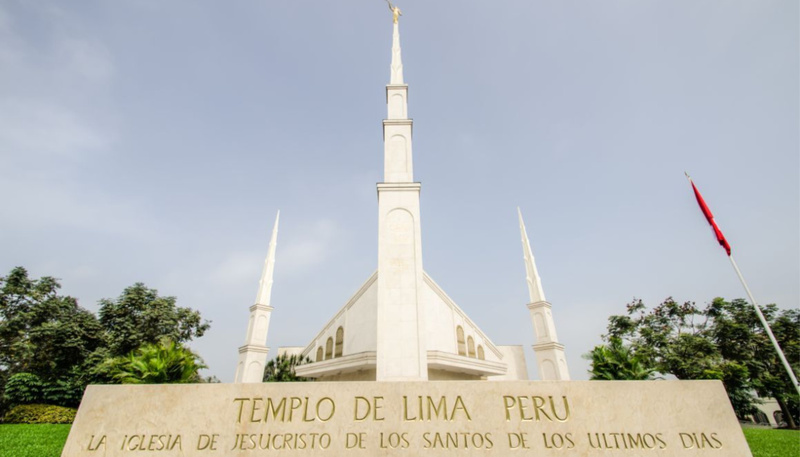 Likewise, the Lima Peru Temple was dedicated in January 1986. Just over thirty years later, President Thomas S. Monson announced the intent to construct the Lima Peru Los Olivos Temple. Which city do you think is up next to enjoy the blessing of two temples? 9. Do You Like It Sweet or Salty? In 1991 the First Presidency asked the Asia Area Presidency to begin searching for a temple site in Hong Kong. 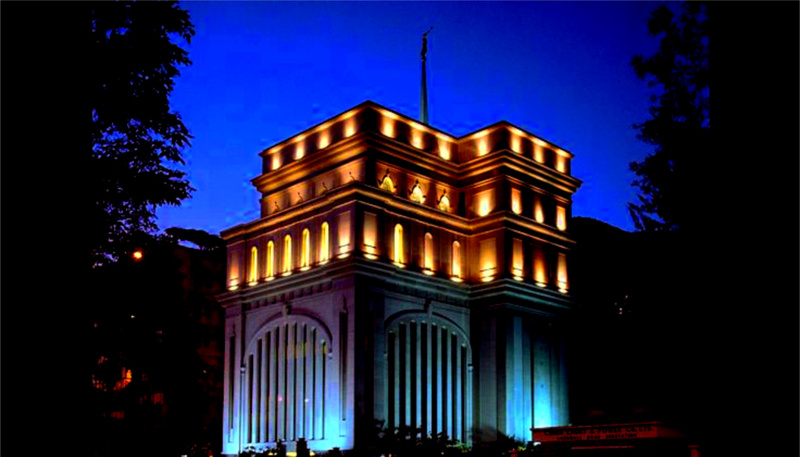 If the Church were to build a temple in Hong Kong, it would have to be built before July 1, 1997, which was when the People’s Republic of China would resume government control. President Gordon B. Hinckley (1910–2008) arrived in Hong Kong on July 25, 1992, to approve a site for the temple. After visiting six different locations, President Hinckley discussed his feelings with the local stake presidents and decided that none of the locations would work. [. 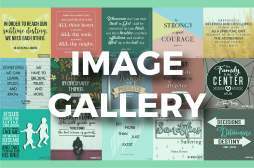 . .] President Hinckley “then shared, on a sheet of white paper, a detailed drawing. During the night, he had envisioned a building of about eight floors above ground, with the temple on the top floors and other functions housed on the lower floors. President Hinckley returned to Salt Lake City and presented the new design to the Temple Department. The architects saw an opportunity to expand the building and created a plan that would be nearly twice the size originally designed by President Hinckley. The plans were completed and sent to Hong Kong for approval, but after negotiations with the officials, the building plans were denied. Remembering the experience they had earlier with President Hinckley’s first design, the Area Presidency immediately recommended that the Church return to his drawing. This plan quickly received approval, and the Church began construction on the temple. 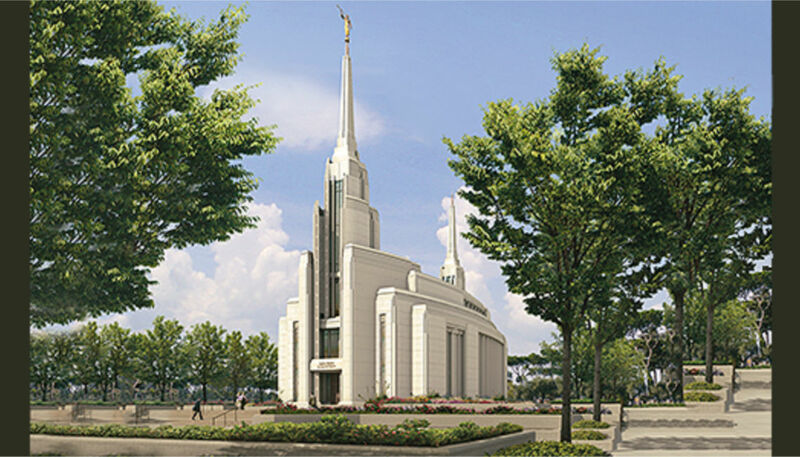 The Hong Kong China Temple was dedicated on May 26, 1996, by President Hinckley. I guess it helps to do exactly as the Lord’s chosen prophet counsels. There are six temples that took over ten years to complete after their announcements. You can click here to read about the circumstances of each delay. The Salt Lake Temple took the longest to complete, elapsing over forty-five years after its announcement to complete. The Los Angelos Temple took nineteen years to complete, and the Manti Utah Temple and Kyiv Ukraine Temple took over twelve years to complete. A pair of temples, when dedicated, will have taken just over ten years to complete after their announcements. These temples are the Rome Italy Temple (which will be dedicated March next year) and the Fortaleza Brazil Temple (estimated to be dedicated sometime in 2019). This is one of my favorite temple stories. I know, I’m biased since I live in Provo, but the construction of the Provo City Center Temple is incredible! Hearts broke when the Provo Tabernacle caught fire in 2010 as locals saw a piece of their heritage destroyed. The Provo Tabernacle has now risen from the ashes to become the Provo City Center Temple. One of the reasons I love the story of the Provo City Center Temple is that it demonstrates that God can turn even the direst of tragedies into something grand and beautiful. Now the Provo City Center Temple serves as the house of the Lord, and the piece of Provo Tabernacle heritage that seemed once lost now adds to the temple’s symbolic meaning for the local Provo Saints. The transformation from the burnt remains of the Provo Tabernacle to the Provo City Center Temple can be seen in the time-lapse video above. Although Latter-day Saints do not worship Moroni, we respect him as an important figure in helping usher in the restoration of the fullness of the gospel. The statue of Moroni, which always faces East, can thus be seen as an important symbol atop most temples. But not all Angel Moroni’s are made the same. In fact, over the years the statue has gone through many changes and renovations. Cyrus Dallin created the first Moroni statue for the Salt Lake Temple. Several of the earlier Moroni statues, such as the ones atop the Los Angeles Temple and Washington D. C. Temple, carry gold plates in their left hands. More recent Moroni models have been adapted to fit the smaller temple designs. 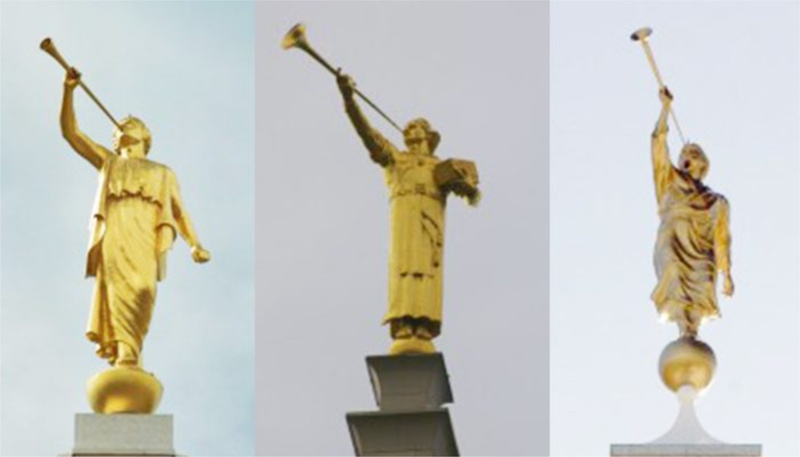 You can click here for a more detailed description of the eight different designs of the Angel Moroni by Bryan Olson. 4. The Very First Elevator Shafts? Basically, elevator technology was not a new concept when the Salt Lake Temple was constructed. King Louis XV built an elevator in the Palace of Versailles in 1743, and by the early 1860s technologies like elevators and electricity had already begun to be widely used. 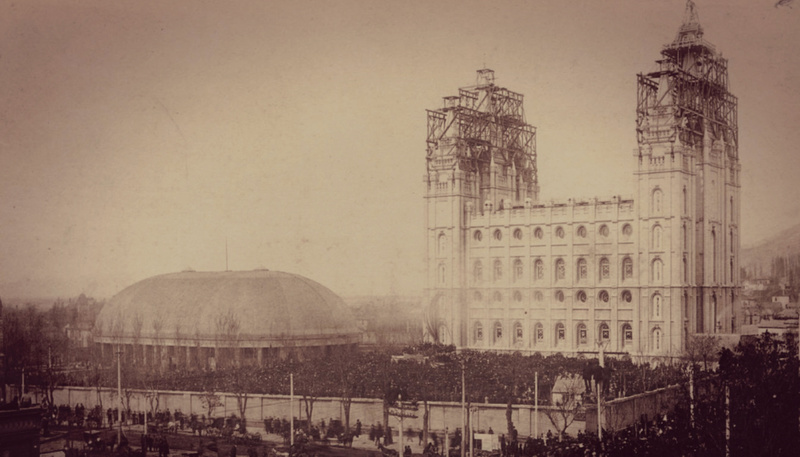 Remember also that the Salt Lake Temple was not completed until 1893, and most of the temple’s interior was designed and built in the latter years of construction. The debunked legend, however, takes nothing away from the Salt Lake Temple’s beauty, grandeur, and importance. 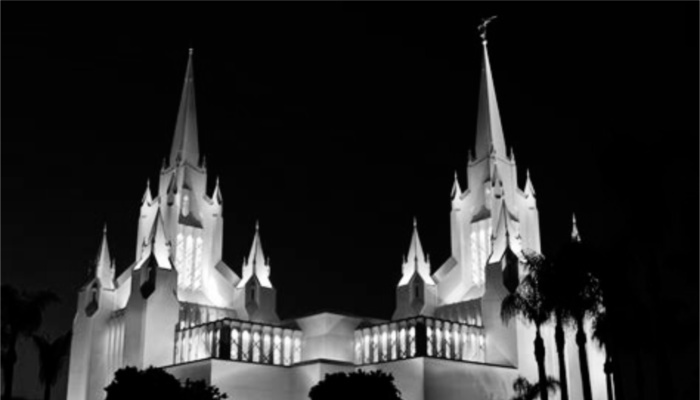 In my opinion, the San Diego Temple is one of the most beautiful edifices in the world. What you may not know, however, is that the eight-pointed star, sometimes referred to as the “Seal of Melchizedek,” appears 10,000 times in the temple. 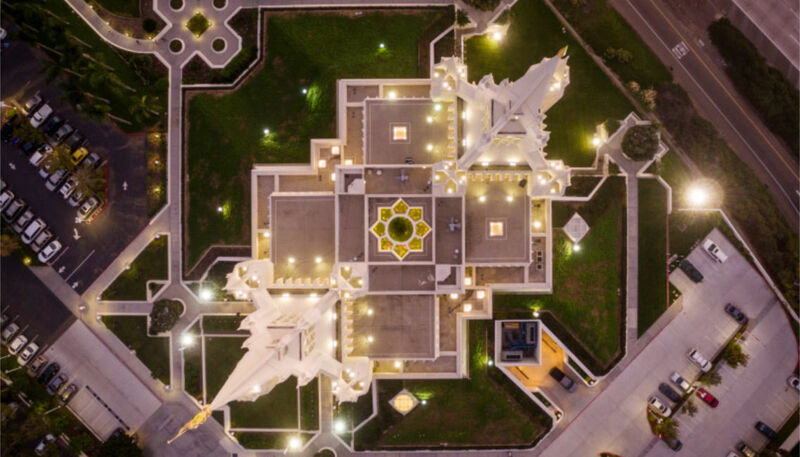 In the aerial view of the temple above you can see that the temple’s beautiful atrium bears the eight-pointed star shape. 2. Lightning Never Strikes Twice . . . Right? If you’ve ever heard the idiom “lightning never strikes twice,” you might be shocked to find out that it did. 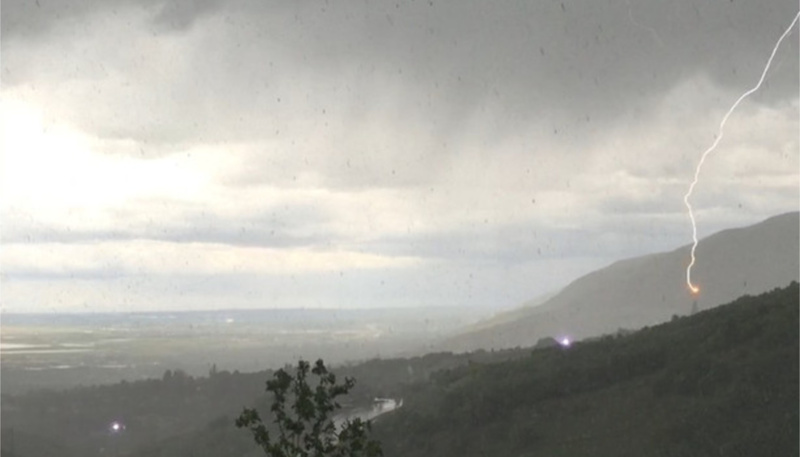 According to witnesses on KSL news, lightning struck the Angel Moroni atop the Bountiful Utah Temple twice on May 22, 2016. The second strike, which can be seen in the photo below, badly damaged the Angel Moroni, and the iconic statue had to be replaced on June 1st of that year. The Bountiful Utah Temple was not the only temple in need of an Angel Moroni replacement due to a lightning strike. In June 2009, lightning struck and damaged the Moroni atop the Oquirrh Mountain Utah Temple months before its dedication. 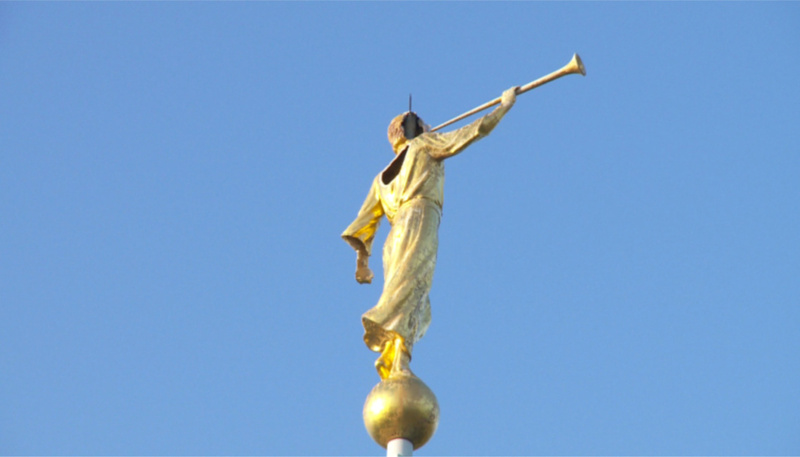 The replacement Moroni was able to make it atop the temple just ten days before the dedication. The St. George Temple was much anticipated. 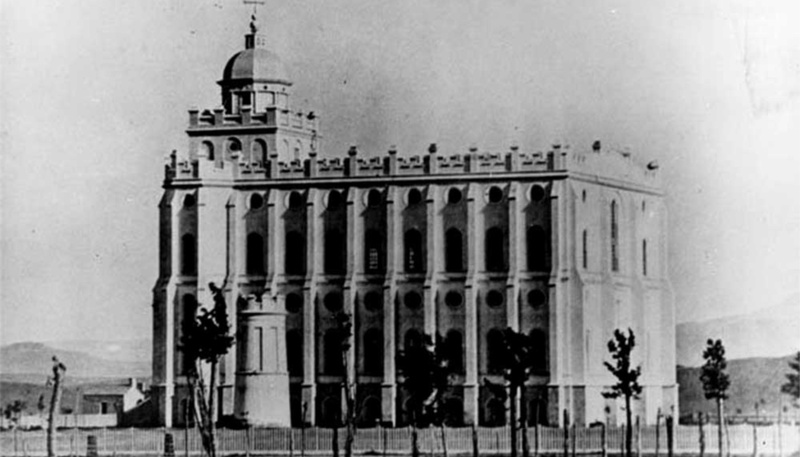 It was the first temple completed in the West and the Salt Lake Temple was taking decades to finish. But when the time to dedicate the St. George Temple, Brigham Young did not like how its steeple looked. He wanted the temple to have a heightened steeple, not the short one that can be seen in the picture above. But the Saints knew that constructing a new steeple would delay the temple’s dedication, so they left it as it was. Brigham Young was able to see the dedication of the temple months before he died in 1877, and the Saints enjoyed the temple for over a year. But in October 1878, a severe thunderstorm passed through St. George and lightning struck the steeple. Since the lightning strike damaged no other part of the temple except the steeple, some have speculated that it was Brigham Young who sent the lightning down to destroy the steeple he didn’t like. Needless to say, the Saints in St. George built a taller steeple to honor Brigham Young’s wishes. How about you? Which temple story was the most interesting? 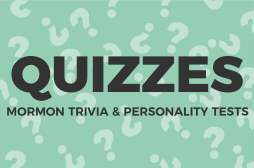 Are there any other interesting stories you would add? Let me know!